We are planning another summer at the ramp. Plans are moving forward but not all action items are finalized. We are looking for volunteers and perhaps an individual or two who might be wiling to act as host at the ramp and earn some money. Contact Perry Hayden if you are interested. We are planning another summer of operating the Lake Host Program at the Fish & Game ramp on Clough Pond. Anybody interested in volunteering some time or is interested in a part-time paid position in support of this effort should contact an officer or member of the Board of Directors of the Association for more information. Once again we will be having a paid Lake Host at the ramp at various times over the summer. We will augment that with volunteer hours from other trained Lake Hosts. In all we anticipate having the ramp hosted for over 250 hours this summer. The funds that support the paid Lake Host comes from NHLAKES, the Town of Loudon's Conservation Commission, Brookside Pizza, individual donations and our members. If you care to make a donation to this program or any other program you can find information on our membership form. So either join the CPA or donate to help keep Clough Pond Weed Free, recreation friendly, and safe. You can get membership/donation forms from any of our Lake Hosts while they are at the ramp. Our current schedule of times when we will be at the ramp is in such a state of flux that it becomes obsolete almost as soon as we can get around to posting it here. As such we are temporarily suspending those postings. :( Sorry. We have one paid Lake Host this year and are getting hours at the from from our volunteers. We expect to match last years number of hours of about 250 hours. We schedule those times to coincide with the hours when we most expected to encounter boaters coming into the pond. The Lake Host Program is made possible by grants from NHLAKES, the Town of Loudon's Conservation Commission, Brookside Pizza, membership in the Clough Pond Association, and contributions from individuals like you. If you care to make a donation to this program or any other program you can find information on the membership form. So either join the CPA or donate to help keep Clough Pond Weed Free, recreation friendly, and safe. We had two paid Lake Hosts, a Point Person, and some volunteers working on this program this past summer. We were at the ramp 250 hours over the course of the summer. We scheduled those times to coincide with the hours when we most expected to encounter boaters coming into the pond. Thankfully we did not encounter any invasive species trying to enter the pond as we had in the past. [Reminder: Because of this program we stopped variable milfoil from entering the pond in 2005 otherwise Clough Pond would most likely no longer be Weed Free.] In doing so we got the word out to all the boaters we encountered how they could thoroughly inspect their boats and trailers for invasive species. We encourage everybody to Clean, Drain, & Dry their boats and trailers after each use. Some invasives are very tiny and quite difficult to spot on a boat or trailer. By following the Clean, Drain, & Dry methodology you are most likely to eliminate any hitchhiking invasives before they get to the next body of water. A short overview of the Clean, Drain & Dry process can be found on NHLAKES website by clicking on the logo below. The Lake Host Program is made possible by grants from NHLAKES, the Town of Loudon's Conservation Commission, Brookside Pizza, membership in the Clough Pond Association, and contributions from individuals like you. This year we had three part time employees that we payed to be at the boat ramp at different times to provide educational material to boaters while offering to help them inspect their boats for invasive weeds and invasive animals. They were usually scheduled to be at the ramp during the busy hours of Friday, Saturday, and Sunday. Volunteers sometimes fill in on the weekend as well as at various times during the week. The Lake Host Program is operated by the NH Lakes Association of which the Clough Pond Association has been a member since 2002. Funding for the Lake Host Program comes from the State of NH, Private Foundations, and sources local to each water body such as the CPA itself and the Loudon Conservation Commission. The funding goes to NHLAKES where they manage its distribution and provide administrative support. 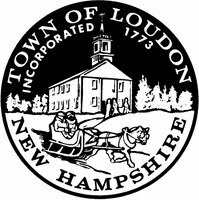 The CPA receives a small portion of that statewide funding and we are pleased to report that the Loudon Conservation Commission contributes generously to the Clough Pond Association specifically to support this program at Clough Pond. Of Note: In 2005 the Lake Host Program and our Paid Lake Host was responsible for detecting and removing variable milfoil from a boat and trailer entering the pond. The sample was sent to the Department of Environmental Services where they confirmed that it was indeed variable milfoil. Had it not been for this program, our funding sources, and our diligent Lake Host, Clough Pond would undoubtedly now be infected with variable milfoil. While this is no guarantee that we will be able to keep invasive species out of Clough Pond, it does show that the program works and good results are possible. In 2013 this program inspected over 76,000 watercraft statewide and recorded 153 "Saves" (i.e., aquatic nuisance species found). Lake Host Inspector: Training Video at the bottom of this NHLAKES webpage.